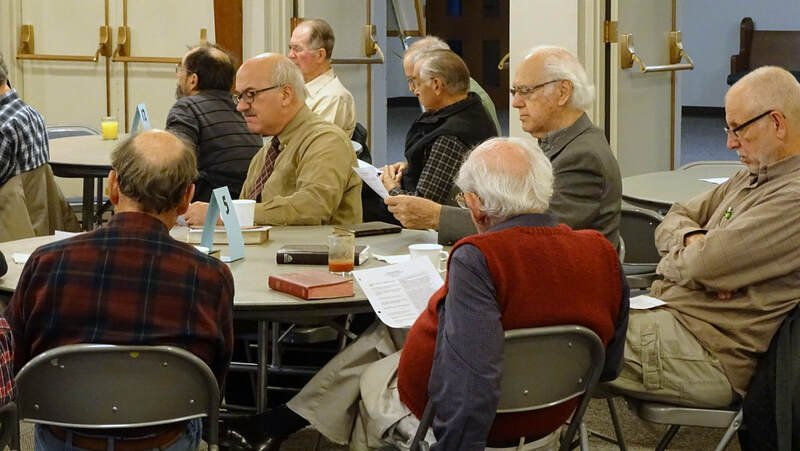 During the Fall and Spring, men of all ages are invited to attend the weekly Men’s Bible Study, held every Tuesday morning at the Park View Mennonite Church. 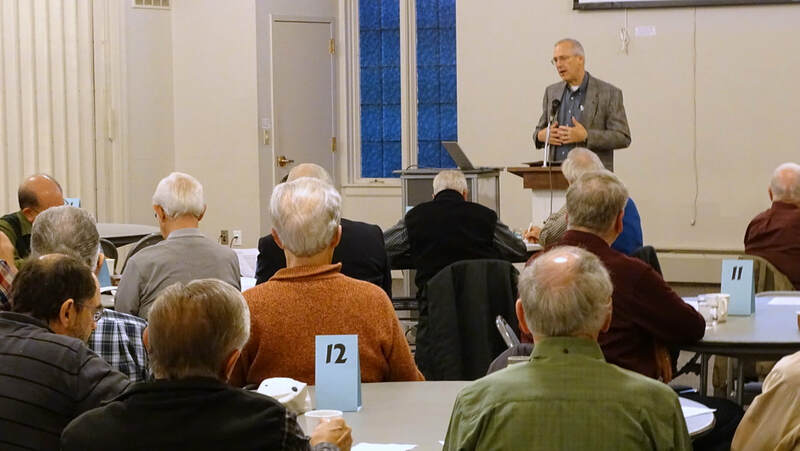 Now in its eleventh year, this inter-church Bible study includes men from nearly all area Mennonite churches, as well as other denominations. It lasts for one hour, from 7:00 to 8:00. It begins with a hearty breakfast (serving line opens at 6:45) and fellowship around the tables. The Bible study itself begins shortly after 7:00, and after a period of teaching, the hour ends with small group conversation around the tables, facilitated by designated table leaders. WHAT: A one-hour Bible study, with teaching and discussion, preceded by a hearty breakfast and fellowship time. CLICK HERE for an informative flyer you can print out and share with neighbors and friends, including a calendar of dates, titles, and texts for the current study series. Are you unable to attend regularly, or at all? Anyone is welcome to benefit from the study notes and audio of previous sessions. We suggest you view or print out the study handout, and use it as a guide while listening to the audio for that session. For audio, click here, or the button on the left. For handouts, click the appropriate link below. Enjoy! Click below to join our email list and get once weekly reminders, with details about the study for that week click the button below. If we need to cancel for inclement weather, that decision will be made by 10:00 p.m. Monday night, and will be announced by sending an email to everyone on the list. Also, a recorded message will be placed on the church phone (540-434-1604) to announce the cancellation. If no message, and no email, the Bible Study is being held as scheduled.